Rule Breaker is book #29 in the Breed Series. 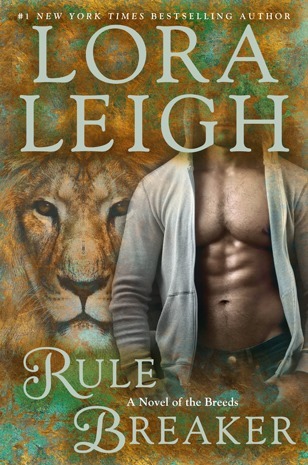 Lora Leigh is one of the few authors that I will stop whatever I’m doing to read a new release. This one was well worth it. I settled in with the book and I had a hard time putting it down until I’d finished it. After waiting so long to find out Rule’s story, it was well worth the wait. I loved the book. I highly recommend it to anyone who likes a good steamy romance.